Today the law lords sit to give judgment for the last time in the House of Lords and, as Lord Hope of Craighead said there last week, the upper chamber will be “losing part of itself”. From October the law lords will become Justices of the Supreme Court, created under the Constitutional Reform Act 2005. As the law lords give judgments for the last time, we should celebrate the institution whose life is coming to an end. ...The cry of the doorkeepers, John Dryden and Jackie Mouzouros, of “Clear the Bar”, so the law lords can deliberate at the end of the argument, will be heard no more. The Bar and the judges will be cleared out across Parliament Square to the Supreme Court. As Lord Mance described it, in one of the final speeches by a law lord in Parliament, they will be moving from the Palace of Westminster to the new “Palais de Justice”. But before we lawyers pick up our papers and leave, we should pause to reflect on the end of an era. ...Put more simply, why do we as a society so often ignore traditional notions of First Amendment freedom to speak one's own notion of truth to power when one party to the confrontation is wearing a uniform, a badge and a gun? Some of the media commentary is quite remarkable, replete with claims that Crowley had a right to arrest Gates because the professor was loud and offensive. Yet what has happened to the notion that under the First Amendment, loudness is OK as long as one is not waking up neighbors in the middle of the night (known as "disturbing the peace"), and offensiveness is fully protected as long as it stops short of what the Supreme Court has dubbed "fighting words"? This gets us to the heart of the matter. Under well-established First Amendment jurisprudence, what Gates said to Crowley--even assuming the worst--is fully constitutionally protected. After all, even "offensive" speech is covered by the First Amendment's very broad umbrella. Think about it: We wouldn't even need a First Amendment if everyone restricted himself or herself to soothing platitudes. I've been doing First Amendment law for a long time and I've never had to represent someone for praising a police officer or other public official. It is those who burn the flag, not those who wave it, who need protection. It is also to act and look like sore losers. If America has been sliding gently but irresistibly into soft despotism, where were all the valiant defenders of liberty before November of 2008? Soft despotism begins to look less like a profound sociological trend, more like undulations of the sine curve: It’s despotism when we lose, freedom when we win. We should have more confidence in the people and the country than this. We should also have more charity to our political opponents – who after all are contending with hideous problems bequeathed to them by … by … well suddenly we Republicans cannot seem to remember who preceded Barack Obama in office. To listen to us, you’d think that the bailouts and takeovers started on January 20, 2009, not the previous March. You’d never know that TARP was supported by almost every Republican commentator, including the editors of National Review. Or that Vice President Cheney argued urgently in favor of the rescue of the Detroit automakers. Or that Fannie Mae and Freddie Mac enjoyed the backing of Republican as well as Democratic lawmakers. One bad election converts us from ardent admirers of the American people to glum declinists who can see only a miserable moldering of a once great nation. I should have thought that conservative patriotism was made of stronger stuff. This is an apology for the way we previouslyhandled illegally sold copies of 1984 and other novels on Kindle. Our "solution" to the problem was stupid, thoughtless, and painfully out of line with our principles. It is wholly self-inflicted, and we deserve the criticism we've received. We will use the scar tissue from this painful mistake to help make better decisions going forward, ones that match our mission. OTTAWA, July 20, 2009 – The Honourable Charles Doherty Gonthier, formerly a Justice of the Supreme Court of Canada, passed away in Montreal, Quebec, on July 17, 2009. Born in Montreal, Justice Gonthier received his Bachelor of Civil Law from McGill University. He was called to the Bar of Quebec in 1952, and subsequently practised law, first with the firm of Hackett, Mulvena & Laverty, and then with the firm of Hugessen, Macklaier, Chisholm, Smith & Davis, later known as Laing, Weldon, Courtois, Clarkson, Parsons, Gonthier & Tétrault. Justice Gonthier was appointed to the Quebec Superior Court in 1974, and elevated to the Quebec Court of Appeal in 1988. Less than a year later, on February 1, 1989, he was appointed to the Supreme Court of Canada. He served on the Supreme Court of Canada for fourteen years, retiring on August 1, 2003. Since his retirement, Justice Gonthier served as counsel in the law firm of McCarthy Tétrault, as Chair of the Board of Governors of the Centre for International Sustainable Development Law at the Law Faculty of McGill University, and as Commissioner of the Communications Security Establishment. “A lot of the work we’re doing for free. The Crown’s office and the judges are being compensated handsomely for the system to run, and we haven’t been compensated in the last 20 years adequately at all” stated Gil Labine, the Thunder Bay CLA’s Regional Director. CLA President Frank Addario recently met with Attorney General Chris Bentley to discuss the association’s agenda. Mr. Bentley "was not able to commit at this time to the improvements that are critical to ensuring a sustainable and equitable legal aid system,” said Mr. Addario. Currently, Ontario's maximum legal aid rate is $98.00 per hour, which many lawyers feel fails to address their high overhead costs. Is it Time to Update Your Passport Photo? Suaad Mohamud Haji, 31, stated that she “has lost weight, changed her glasses and maybe looks a bit darker-skinned since the photo was taken more than four years ago.” She was held in jail for 8 days, required to post bail of $2,500.00 (U.S.) and has been waiting for 2 months to hear back about a hearing that could lead to further jail time. The Toronto resident faces a Court hearing July 21 and fears being sent back to jail if Canada will not vouch for her. A recent decision of the Supreme Court of British Columbia confirms that trying to predict how a judge with deal with the division of antiques upon marital breakdown is futile, and that it’s best to resolve at least that one issue outside of the courtroom. In the December, 2008, case of Lane v. Creighton, The Honourable Madam Justice Bruce was charged with deciding whether to order the antiques purchased by Melodie Lane and David Creighton during their 17 years of cohabitation, sold, or divided between them; who should pay for the storage costs incurred by Dr. Creighton after the parties’ separation; and all associated logistics. A compounding issue was that while an appraisal pegged the value of the antiques at $30,820, at one time Dr. Creighton had estimated that they were worth $200,000. Dr. Creighton and Ms. Lane married in 1981, and separated in 1998. They had three children. The family continued to live together in the matrimonial home until late 2000, when Ms. Lane commenced court proceedings. In the course of eight years of litigation leading to the trial decision, their struggles and allegations escalated, and resulted in the court having to decide almost every issue imaginable, including: custody and access; child and spousal support; who was to blame for alienating the children from which spouse; whether Ms. Lane was mentally ill as repeatedly alleged by Dr. Creighton; and their acrimonious dispute over the sale and division of assets, including their collectibles. Of course given this backdrop it should come as no surprise that Justice Bruce found that there was clear evidence that “there can be no trust between these individuals.” That being the case, why did she order Dr. Creighton alone to have conduct of the sale of the antiques simply because he had possession of them, and grant him authority to approve of any price offered without Ms. Lane’s consent (though she ordered him to provide an accounting)? Dr. Creighton had retained the antiques since separation, initially in his garage. But between 2003, and the date of trial, he had been paying between $240 and $270 a month in storage fees … approximately $18,000 paid out altogether! Dr. Creighton never offered his wife the opportunity to hold onto any of the antiques. Ms. Lane never knew that her husband was incurring storage costs. But in the end Justice Bruce ordered that Ms. Lane was to be responsible for half of the costs up until the date of her judgment. Dr. Creighton submitted that the antiques should be sold, with the proceeds divided equally after deducting his storage costs. Ms. Lane wanted everything sold, or divided equally, but stated that she should not be saddled with storage costs that she did not know were being incurred. She was agreeable to accepting half of their appraised value, somewhat surprising since her husband had at one point in time commented that they were worth more than seven times that amount. The judge opined that it was difficult to strike a balance between on the one hand Ms. Lane’s position that she should not have to be responsible for costs she did not know were being incurred and over which she had no control, and on the other the fact that Dr. Creighton went to considerable expense storing the items and did not treat them as his own by selling or otherwise disposing of them, as often occurs in matrimonial disputes. The question as to the true value of the antiques also troubled the judge. Justice Bruce concluded that the only fair means of allocating a value to and dividing the antiques was to have them sold. She ordered that Dr. Creighton be reimbursed for his storage costs out of the proceeds before they were divided equally. The incentive that the court gave to Dr. Creighton to sell the antiques on a timely basis, was that he alone was to bear the storage costs from the date of the judgment until their disposition. Finally, Justice Bruce ordered that in the event that Dr. Creighton was unable to sell any or all of the antiques by December 31, 2009, he and Ms. Lane were to divide them equally in specie (such as using an alternate choice mechanism), as long as Ms. Lane had paid her husband half of the storage costs incurred over the seven year period. 1) If the judge was prepared to have the parties divide up any remaining antiques, why didn’t she just order an alternate choice means of distribution in the first place, with Ms. Lane having to reimburse Dr. Creighton for half of his storage costs? A coin toss could have easily resolved the issue of who chooses first, and if there was one antique worth a great deal more than the rest, two other items could have been lumped together to reduce any financial inequity resulting from the coin toss. After all, she did order that precise resolution in the event some or all were not sold, so she must have been comfortable with how it would unfold. It would have avoided an extra step; enabled each party to retain half of the collectibles; and redressed any power imbalance resulting from Dr. Creighton having complete control. 2) Why did the Judge entrust the conduct of the sale to one party, when she knew that there was that level of mistrust and acrimony between the spouses, when should could have ordered an independent third party chosen by the spouses to conduct the sale? The answer leads us to the lessons to be learned, and provides some insight into the role of the court in such disputes, and the discretion which a superior court judge exercises. When rendering decisions, judges usually cite legislation and case law as precedents. They generally follow laws which reference broad yet exacting principles of financial fairness. But when it comes to asset distribution, their discretion is almost boundless as long as monetary equity prevails: division of assets vs. their sale; who gets what and by what means; the extent to which appraisal evidence will be accepted; etc. The adage “you never know what a judge will do” applies in spades to resolving disputes concerning assets. Many family law lawyers refuse to deal with the division of household contents at the trial level, and basically insist that spouses either find a way to resolve the matter on their own, with minimal assistance of counsel, or through mediation. And many judges do not see that their role includes dealing with such minutiae. Of course there are exceptions, such as in the 2006, Saskatchewan decision in Cey v. Cey, where the judge considered who should get the antique dining room suite based upon which spouse had more of an emotional attachment to it. If you cherish your antiques, play an active role in their division upon separation, outside of the courtroom, rather than leave the decision to a government employee. If the battle with your estranged spouse is bitter, and you hear “I don’t care, let the judge order everything sold,” remember that it might just be posturing. When a calmer moment emerges, seize the opportunity, through negotiation, to try to retain at least part of what you’ve spent years collecting. For 28 years Alvin Starkman has resented that his first wife ended up with the oak roll-top, while he got the Victorian sleigh style brass bed. 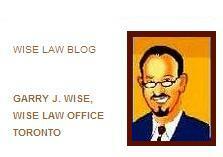 Alvin is a member of The Law Society of Upper Canada. However, this article is not intended to be and should not be relied upon as constituting legal advice or opinion. Alvin and Arlene, former Toronto residents and collectors of Canadiana, moved to Mexico in 2004. They operate Casa Machaya Oaxaca Bed & Breakfast. Judge Sonia Sotomayor may have been stumped by Senator Al Franken's question about the one case that Perry Mason "lost," but with the help of Google, we at Wise Law Blog are not. Mr. Mason would have the last laugh, however, having suffered this humiliating defeat at the hands of Hamilton Berger only because his client withheld evidence that proved her own innocence. By the end of the episode, Perry Mason had worked his magic, and she was a free woman again. On May 26 LAWPRO put on a special webinar aimed at helping lawyers to avoid being the victims of fraud. 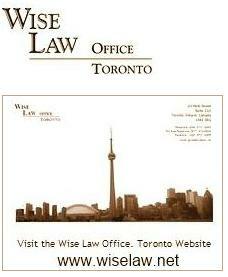 It was hosted and broadcast by the Ontario Bar Association. You can now listen to a free MP3 of this program, and follow along with the program PowerPoint. Politico has obtained and published audio of appeal hearings presided over by U.S. Supreme Court nominee Sonia Sotomayor. The tapes are a fascinating study of the appellate process. For what its worth, I'm not hearing much at all in the way of the storied "temperament" issues regarding Justice Sotomayor, in spite of the headline of the Politico story that introduces the audio recordings, Court Tapes Show Blunt Sotomayor. She appears to be an astute, informed and assertive judge, who asks challenging and probing questions that keep counsel on their toes - which, of course, is exactly what an appellate Judge ought to be doing. In other words, the temperament storyline is yet another instance of a manufactured Republican talking point that now, quite properly, will bite the dust. Mother's Refusal of "Required" C-Section: Is it Child Abuse? Volokh reports on New Jersey Division of Youth and Family Services v. V.M. and B.G., a fascinating decision by the Superior Court of the New Jersey Appellate Division, reversing a trial judge's ruling that a mother's refusal to consent to a Cesarean section that had been urged by attending physicians constituted child abuse or neglect, justifying intervention by State child welfare authorities. The appeal court did, however, uphold the child's placement in foster care for other reasons, based on findings of post-birth, erratic parental behaviour. Defendants V.M. and B.G. are the biological parents of J.M.G., born on April 16, 2006. During her hospitalization in anticipation of J.M.G. 's delivery, V.M. demonstrated combative and erratic behavior including a refusal to consent to a cesarean section (c-section)1. Despite the medical opinion that the fetus demonstrated signs of distress and that the procedure was necessary to avoid imminent danger to the fetus, the child was born by vaginal delivery without incident. After the birth of the child, plaintiff Division of Youth and Family Services (DYFS) investigated. It learned of V.M. 's refusal to consent to the c-section and discovered that V.M. had been under psychiatric care for twelve years prior to J.M.G. 's birth. Moreover, V.M. was not forthcoming about her treatment or diagnosis. B.G. also refused to cooperate with DYFS's efforts to obtain information. DYFS commenced a Title 9 proceeding pursuant to the Abandonment, Abuse, Cruelty and Neglect Act (the Act), N.J.S.A. 9:6-8.21 to -8.106, and placed J.M.G. in its custody. ... If V.M. 's fetus was not a child under this statute, then any decisions that she made with regard to prenatal treatment and surgery cannot form the basis of a finding of abuse and neglect. The judge did not base his finding solely on V.M. 's refusal to consent to a c-section, however, V.M. 's refusal to consent to invasive procedures clearly was a major consideration in his decision. ... The decision to undergo an invasive procedure such as a c-section belongs uniquely to the prospective mother after consultation with her physicians. To allow such a decision to factor into potential charges of abuse or neglect requires a prospective mother to subjugate her personal decision to a governmental agency's statutory interpretation creating a scenario that was neither contemplated nor incorporated within the four corners of the relevant statutory language. Her decision on matters as critical as this invasive procedure must be made without interference or threat. V.M. 's decision to forego a c-section had no place in these proceedings. The judge's order indicates that a finding of abuse and neglect was made against B.G. Any such finding was clearly in error. As I have discussed, supra, a finding of abuse and neglect cannot be based on a mother's medical decisions during pregnancy. Moreover, even if V.M. 's other actions had endangered the child, B.G. could not have forced his wife to cooperate with the hospital staff. Any finding of abuse or neglect on B.G. 's part was clearly not supported by the record, and DYFS essentially concedes this point on appeal. A Quebec billionaire's former common-law spouse has lost her constitutional challenge against provisions of Quebec's Civil Code that narrowly limit the entitlements of unmarried partners in the Province upon relationship breakdown. She claimed payment of spousal support from her former spouse as well an entitlement to sharing of the family's property. According to media reports, the former spouse already receives child support and related payments in excess of $35,000 monthly. The couple cohabited for approximateky ten years. The former spouse indicates that she intends to appeal the decision. MONTREAL — The former common-law spouse of a Quebec billionaire has lost her bid to get the same rights and obligations as people who are legally married. After a heated and sometimes emotional court case last January, Superior Court Justice Carole Hallee issued her 63-page judgment Thursday, saying that recognizing all couples as "married" would remove some people's freedom of choice not to marry. She also said that no evidence was presented that showed treatment of common-law couples was discriminatory — a comment that had lawyer Anne-France Goldwater scratching her head, wondering "if we were in the same trial." Goldwater, who represented the woman, said she will appeal all the way to the Supreme Court if necessary. "Social change comes slowly (because) you have to fight people who are entrenched," she said. "Nobody fights discrimination who hasn't lived it and it's going to take going to higher courts." The woman known as "Lola" lost her constitutional challenge on Thursday to try to get unmarried couples treated the same as married couples when their relationships end. Lola asked the Quebec Superior Court to strike down a series of federal and provincial laws. She also asked for a $50-million lump-sum payment from her former spouse and $56,000 a month in alimony. ...Quebec Superior Court Justice Carole Hallée said under existing law, partners in a common-law relationship have no rights, no duties and no responsibilities to each other; no matter how many years they've lived together. ...The judge said current laws do, in fact, protect the rights of unmarried people who choose to live together. 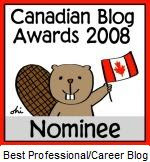 On Paternity, Polygamy, Palimony and Parental Alienation in Canada. Officials at summer camps in areas across Canada are screening new campers for signs of swine flu, after three Ontario camps reported that kids there had become sick with the worrisome flu. All the cases in Ontario cottage country so far have been mild and there has been no need to hospitalize any of them or close any camps, says Dr. Colin Lee of the Simcoe Muskoka District Health Unit. "A lot of them have gone home to rest up. It's more comfortable for them to be at home," Lee told Canada AM Thursday. "For those who are staying who are ill, they're being isolated from the other campers until they are feeling better." The Olympia sports camp, just outside of Huntsville, has a number of cases and is now screening all children at bus pickups. Kids who are ill are being sent home. Camp Ramah, near Bracebridge, says several campers came down with mild cases of the virus but recovered in a matter of days. The third camp has not been publicly identified. As at July 6, Canada had 7983 reported cases of the H1N1 influenza, with 25 deaths attributed to the outbreak. according to the WHO. At this time, WHO considers the overall severity of the influenza pandemic to be moderate. This assessment is based on scientific evidence available to WHO, as well as input from its Member States on the pandemic's impact on their health systems, and their social and economic functioning. Most people recover from infection without the need for hospitalization or medical care. Overall, national levels of severe illness from influenza A(H1N1) appear similar to levels seen during local seasonal influenza periods, although high levels of disease have occurred in some local areas and institutions. Overall, hospitals and health care systems in most countries have been able to cope with the numbers of people seeking care, although some facilities and systems have been stressed in some localities. WHO is concerned about current patterns of serious cases and deaths that are occurring primarily among young persons, including the previously healthy and those with pre-existing medical conditions or pregnancy. Large outbreaks of disease have not yet been reported in many countries, and the full clinical spectrum of disease is not yet known. A report released today by Canada's Privacy Commissioner finds that that Facebook is in violation of PIPEDA, Canada's Personal Information Protection and Electronic Documents Act, and calls upon Facebook to comply with Canadian privacy legislation. OTTAWA, July 16, 2009 — In order to comply with Canadian privacy law, Facebook must take greater responsibility for the personal information in its care, the Privacy Commissioner of Canada said today in announcing the results of an investigation into the popular social networking site’s privacy policies and practices. “It’s clear that privacy issues are top of mind for Facebook, and yet we found serious privacy gaps in the way the site operates,” says Privacy Commissioner Jennifer Stoddart. ...The Privacy Commissioner’s report recommends more transparency, to ensure that the social networking site’s nearly 12 million Canadian users have the information they need to make meaningful decisions about how widely they share personal information. The report recommended a number of changes, including technological measures to ensure that developers can only access the user information actually required to run a specific application, and also to prevent the disclosure of personal information of any of the user’s friends who are not themselves signing up for an application. The investigation also found that Facebook has a policy of indefinitely keeping the personal information of people who have deactivated their accounts – a violation of the Personal Information Protection and Electronic Documents Act (PIPEDA), Canada’s private-sector privacy law. The law is clear that organizations must retain personal information only for as long as is necessary to meet appropriate purposes. Recommendations to Facebook included the adoption of a retention policy whereby personal information in deactivated accounts is deleted after a reasonable length of time. Facebook has agreed to adopt many of the recommendations stemming from the Privacy Commissioner’s investigation or, in some cases, has proposed reasonable alternatives to the measures recommended. However, there remain a number of recommendations that Facebook has not yet agreed to implement. “We urge Facebook to implement all of our recommendations to further enhance their site, ensure they are in compliance with privacy law, and ultimately show themselves as models of privacy,” says Assistant Commissioner Elizabeth Denham, who led the investigation on behalf of the Office. The popular social networking site, which is used by 12 million Canadians, doesn't have enough safeguards to prevent those third-party developers from getting "unauthorized" access to users' personal information, said the report released Thursday by assistant privacy commissioner Elizabeth Denham. It allows users to post personal information about non-users without their consent. For example, it allows them to tag photos and videos of non-users with their names, and provide Facebook with their email addresses to invite them to join the site. It keeps the addresses indefinitely. Yesterday Lord Bach, the Justice Minister, welcomed the media for a first glimpse of the newly refurbished court, fashioned from the Grade II listed building that was once the courts of Middlesex Guildhall. This was a point of “historic change”, he said. The opening would be a “major constitutional milestone”. The project, which separates physically and constitutionally the judiciary at its apex from the legislature, has cost nearly £60 million. Running costs are expected to reach £12.3 million, plus £1.2 million now paid in pension and national insurance for the 12 law lords - soon to be Supreme Court Justices - and another £300,000 for “transitional set up costs”. So this is what passes as serious commentary on health care reform in the United States of America? It will be news to all of us on this side of the border, but apparently, Canada has a lottery system to "decide who gets to go see a doctor this month." "That's why people are suing." In May of this year, the community of Gander, NF elected to hold a 'lottery' style selection of patients for two newly arrived Family Physicians. Although innovative, this approach is unlikely to help in solving a worsening shortage of doctors nationwide. The problem of physician shortages in remote, small communities such as Gander is a significant one in both Canada and the U.S. This is a real and difficult challenge in public and private health care jurisdictions, alike. "Given that Medicare beneficiaries and persons with private insurance are reported to have, in general, ready access to care," it is the uninsured "who have a difficult time finding a physician," as well as Medicaid beneficiaries and the 20% of U.S. residents who live in federally designated "medically underserved" areas, Iglehart writes, adding that physician recruitment and retention "presents a challenge for community health centers, the medical operations of the Departments of Defense and Veterans Affairs, community hospitals and even group medical practices." In Physician Shortages and the Medically Underserved, The Council of State Governments says that the shortage of physicians in the United States is growing and will affect not only currently underserved areas, but some places where there are now sufficient doctors. States are trying to solve the shortage in a variety of ways. This trend has fueled a growing shortage of primary care doctors in the United States. "On the eve of (health care) reform, we have a very real primary care crisis," said Dr. Ted Epperly, president of AAFP. Epperly estimates that the health care system will be 40,000 doctors short of where it needs to be in the primary care arena by 2020 to support the demand for medical care. "We need 150,000 family doctors in total by then," Epperly said. Congratulations, you won the lottery — now you can have access to basic medical care! A few thousand lucky Oregonians will will win state-subsidized health insurance coverage in a lottery this week, the Associated Press reports. About 80,000 others will lose, and remain uninsured.